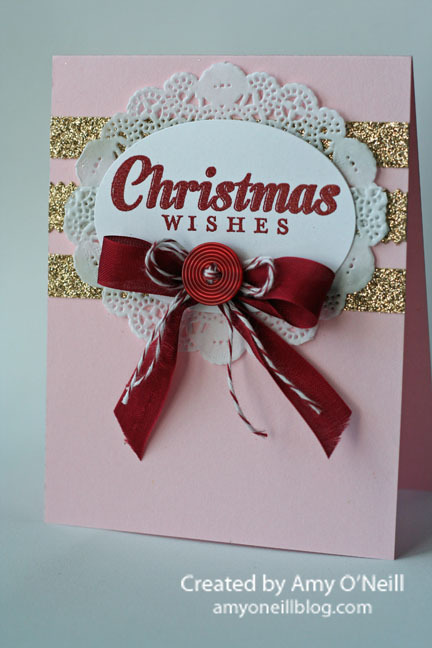 Back to a favorite color combination for this Christmas — pink and gold. I threw in a bit of Cherry Cobbler on this one. This entry was posted in Christmas, Joy to the World. Bookmark the permalink. I love this, Amy! Pink Pirouette and Cherry Cobbler is one of my favorite color combos!